So you’ve applied to UBC and you’re awaiting for your admission decision. It’s quite a nerve racking process; I remember four years back applying for UBC as my first choice for post secondary studies. Why UBC? There are many excellent universities to choose from in British Columbia. To name a few you have UBC, SFU, UBC-O, UVIC, UNBC, Langara, TWU. Yet my choice for UBC came while in high school in BC. I liked their campus. You really get to appreciate and enjoy the beauty of Vancouver. Next, I like the large campus. UBC has a huge campus and almost like a city of itself, it makes for good exploring and things to do. Importantly, in my opinion, it’s part of the university process. To have somewhere away enough from your norm to experience something different. It’s an incentive to live on campus which is part of the experience you get at university (I’m of the inclination that university is more than education but the networks and experience you build). Finally, I chose UBC because of the community. I like a big university with a big international community. It introduces thoughts and allows you to intermingle with other cultures and people. It’s interesting and it’s vibrant. I’m not saying UBC is the university for you (there are a lot of difficult people there too lol), those are simply some of the reasons why I appreciated UBC (there’s lot of eagles too!). Firstly, this article is more so intended for the international community coming to Vancouver to study at UBC. I hope it’ll help you get started and know what you can find in Vancouver. Feel free to browse this site for other information about Vancouver from a local’s view point. Next, let me get this out there. I really enjoy meeting people and I enjoy helping people. I enjoy inviting and welcoming people and sharing any experience we can (partly the reason for VancityAsks.com). It’s something intuitive and something I enjoy (yes I used that word a lot). I find it exciting quite honestly. Now, who else would be interested in reading this? It’s for you who are still closing near the end of your high school education and looking for something to read while you procrastinate. It’s for you who grew up in the suburbs of Vancouver (like me) in Coquitlam or maybe Port Coquitlam (good on you – your commute must be enjoyable) who perhaps may not know what Vancouver has to offer. It’s for you, who’s perhaps currently in Singapore or New York and want to know more about what to expect in Vancouver and UBC. Why is this on VancityAsks.com? VancityAsks.com is a local question and answer site for Vancouver. We want to discover the best Vancouver has to offer. When you ask, where’s the best pizza in Vancouver, we have the answer from a first-hand local experience. 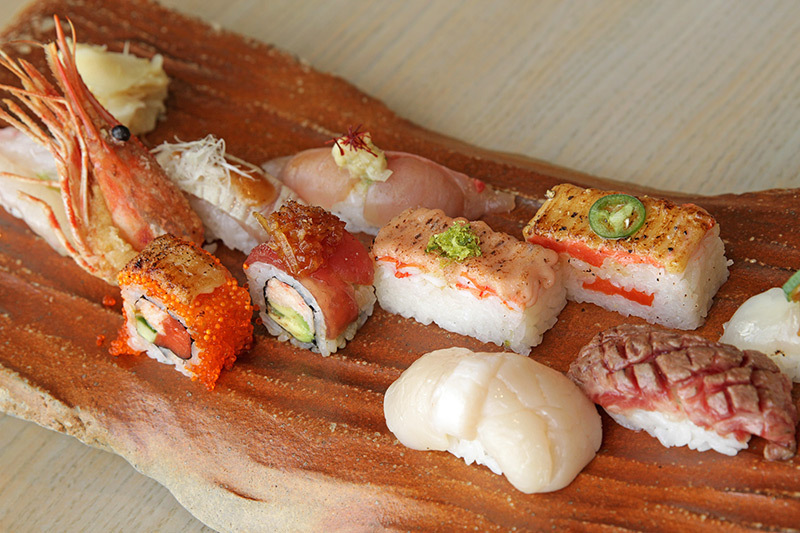 When you’re wondering where you can get the best sushi in Vancouver? We got you covered. Something you’ll come really accustom to is drinking coffee and we also share the best coffee in Vancouver. The waiting process can be frustrating can’t it. I remember refreshing the UBC SSC again on a daily basis waiting for my admission. UBC goes on a rolling admission base on your application strength (the best application gets approved first). My grades weren’t so good, and so my application was the latter to be approved. Foolishly or maybe faithfully, UBC was the only school I applied for haha. Now once you’re admitted and you’ve accepted your offer of admission. Up and coming for international students is Jump Start in August. I’ve talked to a lot of friends while at first year residence about their jump start experience and some loved it and some did not like it so much. It is a great way to make friends though. I knew some who simply came early to Vancouver with their family and explored the city together. When school starts in September, the first week (and even the second) is really relax. It’s a great time to meet new people and get involved with on campus activities. Go to imagine day and check out the (student) club days later on. If you’re a keener, it can be definitely worth while to get involve in student government. Apply to be the first year representative of your faculty student association. I’ve notice, it seems those who go on to further positions in the student government are typically first year reps. I would think because they have the experience, rapport, and network/familiarity to be elected for other positions. So if you intend on being in the student government later on, be the keener in the first year and apply as a first year rep. I don’t think you get paid for being a first year rep (I was quite an introvert so it wasn’t my bid) but if I’m not mistake the higher positions later in student government do pay quite reasonably. Also in my humble opinion, if you want to run for student president some time in your 4 years at university and score that $30,000+ salary for the year…you should know, it’s a lot of a popularity contest than a merits in some level. Most of the people who become student president have strong marketing campaigns and are typically part of frats or large clubs (whose members then help with word of mouth pushing for votes). As a voter, inform yourself of each individual platform and vote purposefully. Student execs are being paid what? Learning also comes in different ways as cliche as it sounds. I wasn’t quite the fan of in-class learning and haven’t done so well in my classes (mostly those that I didn’t like) although keep reading outside of class on what interest you. Many of you I know are likely going through university to check that box for a degree. I’ve spoken to many who have gone on to do careers in things outside of their degree scope. I personally find that university is essential not for the rigid academics (many of which you won’t actually use outside your classroom unless you pursue academia) particularly but for the life skills, experience, and networks. That’s pretty much it I suppose in terms of expectation for your first year. Know also that the point above leads to the next, your grades are important but look at it with perspective. Many people (myself included) got really stress about first year grades. It doesn’t really hit you as much until probably 3 months into your first year when you realize relative to others, you appear behind. You have pretty much everything you need on campus if you choose to live on residence but do take the time to explore Vancouver outside of UBC. UBC is situated to the west of Vancouver in the Point Grey community. It’s near by two communities: (1) Kitsilano – Otherwise known as Kits, check out the beaches, cafes, and eateries. You will find good coffee and donuts at 49th Parallel Coffee shop. You’ll find a beach (you can actually walk there from UBC through Spanish Banks if you’re up for a hike). You’ll find hippy stores. (2) Kerrisdale – It’s a nice, small community you arrive taking the 41 bus or the 43 bus. 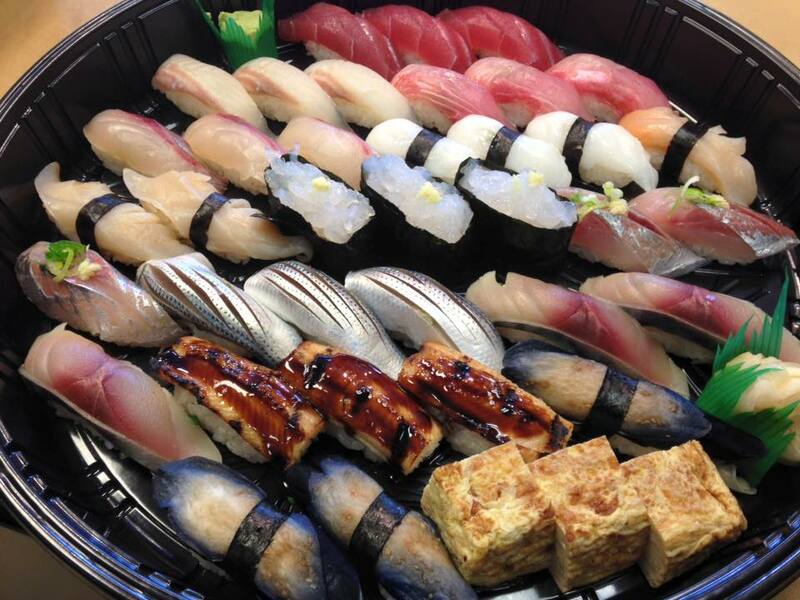 Here you’ll find good sushi and a nice family orientated neighborhood. UBC is also 30 minutes from downtown Vancouver by transit for your downtown Vancouver adventures. Both are UBC students above. Well Alvin, went on to Edmonton to study at University of Alberta. Go for the orientation. Go for the campus tours. Make those friends and networks. I attended several UBC events while in high school and it was really useful for me personally. Many of the seniors are very glad to share their experience and they are really friendly (contrary to a “friend” I remembered who told me if they knew we were from high school, we’d be scorned at the events – hence think for yourself.) Imagine what a easier transition it would be if you’ve met a few in your program (or one you wanted to transfer into 😉 ) who could tell you about courses and professors to expect. Imagine how much easier it would be to make friends if you could recognize people you met before on campus and get introductions. Imagine how much easier it is for positions at (student) clubs or events if you knew the individuals from a previous encounter. Networking isn’t only exclusive to a specific study. It’s a general good and it’s always nice to make meaningful relationships. Be genuine. The AMS has some nice paid positions for the student government that can be worth applying for. IMHO if you’re looking some extra income, get involve in student government early on and build upwards. Also for international students, if I’m not mistaken you’re allow to work on campus without a work permit:http://students.ubc.ca/career/resources/working-canadaThe AMS does hire for a lot of position and UBC has quite a bit of programs to encourage on campus hiring. It appears you can work off campus too up to 20 hours. Honestly, your first year grade doesn’t matter as much (it does matter) but there’s no point beating yourself up if you didn’t do as good as you expected when you first considered your goals. Sometimes our self expectation can be unrealistic. It’s sad to read occasionally about suicides because of grades that occur in university (and in certain south east asian countries). You have so much potential, you’re admitted into one of the top universities in Canada; you have other skills and gifting so be able to look beyond your grades but for where it matters, you’re paying (or your parents are paying) $10k/year for your studies so do make the most of it.The part it matters is largely with course selection for the second year. Your GPA determines your time for course registration; you want the good courses and good professors. Professors do matter a lot to your learning. Most the professors in the Math, Computer Science, and Economics department are amazing. (with a few exceptions)Study what you enjoy and take some GPA boosters 🙂 I use to think GPA boosters was a waste of credits but they do help and they do matter. Check with the grade distribution link I posted above and choose GPA boosters if you need it. Good GPA boosters are typically intro foreign language courses of course it depends on your bent as well. University is an exciting time and a time of transition. You can waste it away or you can make the most of it; we suggest you consider what you hope to get out from your 4 years (or five) and go for it. It cannot be understated but genuinely choose your friends carefully. Yes, it’s a time where many fool around and reckless decisions but it can also be a time for growth and genuine understanding of who you are. Will you use this four years for your life as a platform or will it be a waste? I hope you’ll enjoy your university experience whether at UBC or wherever else you go. If you plan on studying in Vancouver from another country, please feel free to reach out to us at VancityAsks.com and we’ll be happy to help however possible. (whether be it question, or being a line of support, or a ride from the airport to your destination – if schedule permits. I may be in and out of Vancouver). Also follow VancityAsks.com to learn more about Vancouver! I’ll probably update this article later when I feel like it; meanwhile after a straight 2 hours of writing, I’m simply going to post as-is. It’s not a graded essay after all. Please leave your comments and thoughts and suggestions. I’m sure there are many others who can provide better tips than these so please do! When it comes to pizza, you’re are not short of choices in Metro Vancouver, Vancouver, or even downtown Vancouver for that matter. 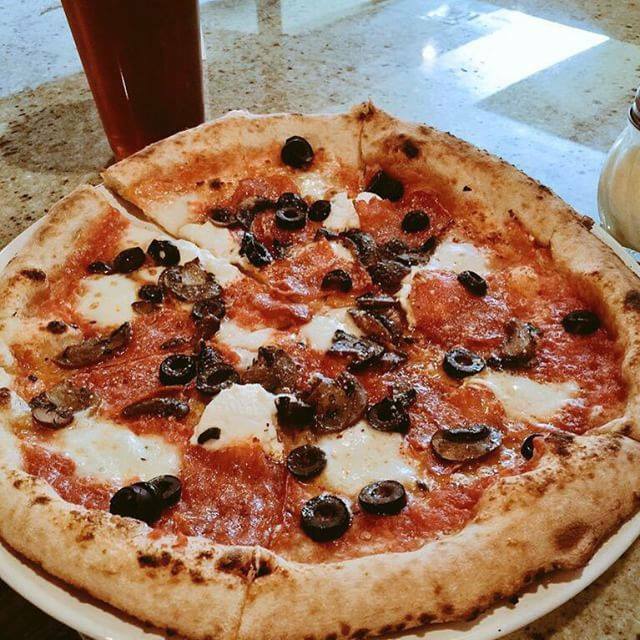 Walk any two blocks and you’ll see plenty of options but there are times you want to go for the best of the best; something you can bring your out-of-town friends and family to and savor what REAL pizza should taste like. This is what you’re going to find a few paragraphs bellow…the best pizzas in Vancouver, BC. BONUS = We will be giving away gift cards to the best pizza restaurants in Vancouver periodically to readers who comment on this article! (As and when…like when Vancouver is depressingly rainy.) So remember to share bellow this article what your favourite go-to pizza joints are to find the BEST pizza in Vancouver! Lombardo’s is easily one of the best Vancouver pizza restaurants. It’s unassumingly nestled in a mall by Commercial Drive although they are famed for their delicious and authentic Italian pizzas for over 25 years! 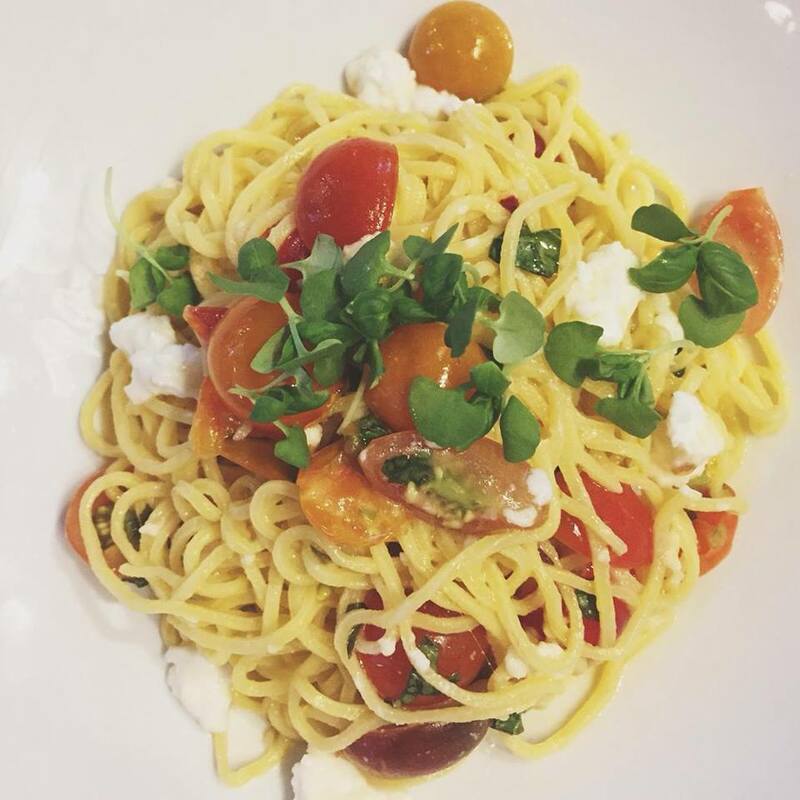 It’s family-owned and operated that uses local and fresh ingredients with an authentic Italian flavor. Prices are very standard for upscale pizza in Vancouver around $13 – $17 for your Margarita to their signature Blanca (EVOO, grana padano, slow roasted red onions, garlic confit, gorgonzola, arugula). Mmmm. If you’re looking for pizza that tastes like it was made by your Italian grandmother (if you had an Italian grandmother) then Lombardo’s Pizzeria where you want to go for the best pizza in Vancouver. Quality has since been hit and miss; almost comical is serving boxed ice cream sandwiches for desserts. (Honestly, embarrassing!) Skip their pasta but pizza is good. What does Via Tevere Pizzeria have to offer Vancouver? There aren’t any shortage of good pizza but Via Tevere is different in a good way, that’s why it’s earned the spot at numero due (I had to Google that.) on our list of the best Vancouver pizza restaurants in Vancouver. Different in using real wood-fire to make their pizzas crispy and flavorful. Different in hand-kneading their pizza dough (yes, it’s made fresh.) Different in trying to serve true Neopolitan Pizza; they are first generation Canadians with deep roots in Naples. 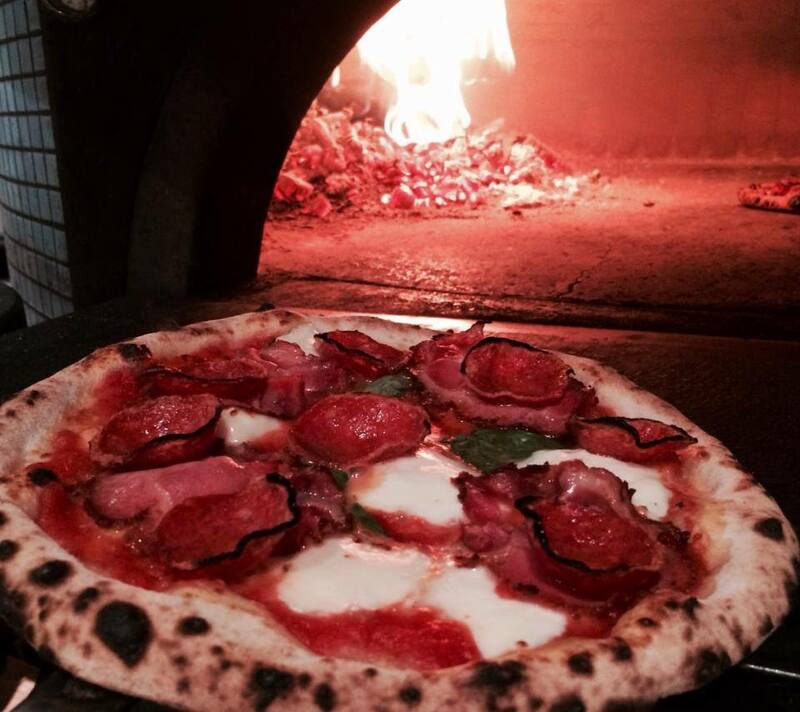 The owner grew up in Naples and understands what it takes to make authentic Neapolitan pizza. Via Tevere even has a travelling Pizzeria in the form of a food truck that roams Vancouver streets; most often found at Burrard street and Pender street on Tuesdays to Fridays. Via Tevere Pizzeria menu is not extensive but perfectly sized with only the best of Italian food in Vancouver. Dinner menu includes options such as their daily pasta, antipasto, home-style meatballs or polenta for appetizers. Their true specialty however is Vancouver pizzas (priced reasonably from $13 for the classic Margherita to $21 for the Capricciosa – Tomato, ﬁor di latte, prosciutto cotto, salame, artichokes, mushroom, olive). Great for sharing as a family dinner or eating all by yourself. (I won’t be complaining about that when the pizza is this good!) Try their desserts as well specifically the “Graﬀe con Nutella” because who doesn’t like nutella on handmade Neapolitan fritters? You can be sure, Via Tevere Pizzeria in Vancouver won’t be serving you ice cream sandwiches as gelato (at least, I hope not!) Speaking of which, if you’re looking for the best gelato in Vancouver, then look here. Looks good doesn’t it? You should try it. That’s why we’ve listed Via Tevere Pizzeria as the #3 BEST pizza in Vancouver. It’s a small restaurant. Pizza Farina in Vancouver, BC is known for old school design and quality with traditional ingredients on their homemade dough for some good rustic pizza. They have the classics but also a daily special if you want to eat there every day of the week (which you just might after you’ve tried pizza at Pizzeria Farina), you got variety still. If you’ve been to Ask for Luigi as recommended on our 5 Best Italian Restaurants in Vancouver then you should definitely give Pizzeria Farina a visit as well. If you’re on a pizza crawl to find the best pizza in Vancouver, you can’t give Pizzeria Farina a miss. Surprisingly for such quality and artisan flavors, (add free hipster aromas) prices are similar to Via Tevere Pizzeria with a classic Margarita at $13. Drop in for the pizza but not for the ambiance because the restaurant is small, making it packed when crowded; best for takeout. No-frills, delicious authentic thin-crust pizza in Vancouver, BC. Pizza of the day at Pizzeria Farina in Vancouver. Pizzeria Barbarella is the epitome of good pizza as sworn by many pizza enthusiast. The fans of Pizzeria Barbarella are also some of the most committed and competitive Italian foodies; you’ll find them proudly claiming Pizzeria Barbarella as the best pizza in Vancouver (for good reason) as if they owned the restaurant themselves. You’ll find classic pizza made right at Pizzeria Barbarella; how you would find it in Italy. A little bit like this. It’s a family owned and run pizza store that has quite a personalized experience. You can meet the owner and the pizza is good! They use fresh, local, and organic ingredients in their pizza – three wins! It’s good Italian style pizza in Vancouver. 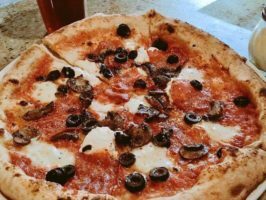 Superb, outstanding, amazing, satisfied…these are some words that you’ll find customers of Pizzeria Barbarella describe the delicious pizza served at this cozy family pizzeria. 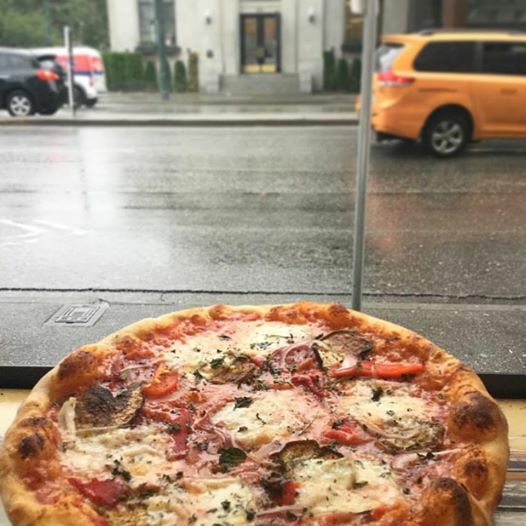 The pizza restaurant in Vancouver is located about 20 minutes from downtown on busy Broadway street right about where Fraser street intersects. It’s an unassuming store nestled between various eateries (close to pho) and close distance to VCC (Vancouver Career College) – making it an excellent location. Pizza Barbarella Vancouver – Pizza in their stone oven. Delicious pizza waiting to be eaten at Firecrust Pizzeria in Vancouver on 808 Davie Street. Choose your own toppings for one price. As mentioned, there are so many good pizza restaurants in Vancouver that it is hard to find only the five best pizza in Vancouver. As with competition, quality and value increases for customers. There are many other great pizza restaurants in Vancouver that haven’t quite edge it on to our top 5 list. These are still worth visiting and trying if you enjoy good Vancouver pizza. Goldies: Not the best pizza in Vancouver BUT it is good pizza (albeit pricey – you’re better off at Firecrust or Farina around downtown Vancouver) but convenient location with good thin-crust pizza. Martini’s Restaurant: One of the original wholewheat pizza crusts in Vancouver. Excellent pizza. Highly recommended by our friends on Facebook. Well there’s our top 5 best Vancouver pizza recommendations. We want to hear your feedback. Feel free to comment bellow and share your opinion, thoughts, dissatisfaction on these recommendations… or suggest any other pizza restaurant you think should be in the top 5 best Vancouver pizza. Let’s give tourists and locals alike the chance to experience the best of our amazing city, yeah? Ps. It was hard to choose between good and best, but we’ve tried. We get it! If X store isn’t on the top 5, the list ain’t creditable. Well, if you insist so, leave a comment bellow and we’ll look at it. Note that everyone’s taste is different so we’ve tried our best to list the top 5 Best Pizza in Vancouver. I recommend you give each of these stores a visit. Vancouver has no shortage of Italian restaurants to savor authentic Italian cuisine from pastas, pizzas, to cannoli. Unfortunately with the multitude of choices, knowing which ones to visit can be tough. You can’t go wrong with most Italian Restaurants in Vancouver although there are those gems that are absolutely a top 5 MUST-try as far as Italian Restaurants in Vancouver are concerned. We encourage you to share your own recommendations in the comments bellow about your favourite Italian food in Vancouver! We’ll be updating the list accordingly. It’ll be great to have the community’s opinion on which Italian restaurants in Vancouver are numbered by your count! 1) Nook: Nook is an authentic Italian restaurant in Vancouver. Customary to any good food, there’s a wait but it’s well worth it. Well-deserved 4.5 star ratings across on Trip Advisor, Yelp, and Zomato. 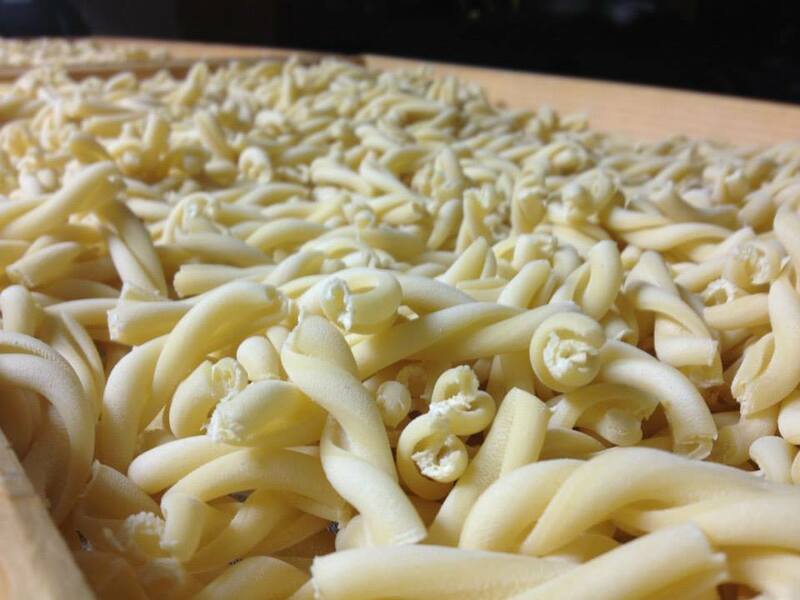 Pasta is made from scratch and fresh ingredients are always used in the kitchen. Nook’s customers know they are getting the best Italian food available in Vancity. What’s interesting is Nook doesn’t take reservations so get there early. Don’t miss a visit the Nook for great Italian food in Vancouver. Freshly made pasta at Nook Restaurant Vancouver. 2) Lupo: Lupo is a must-try in Vancouver if you’re seeking good Italian food. The restaurant is uniquely set in a heritage house near Smithe Street and Burrard easily accessible downtown. 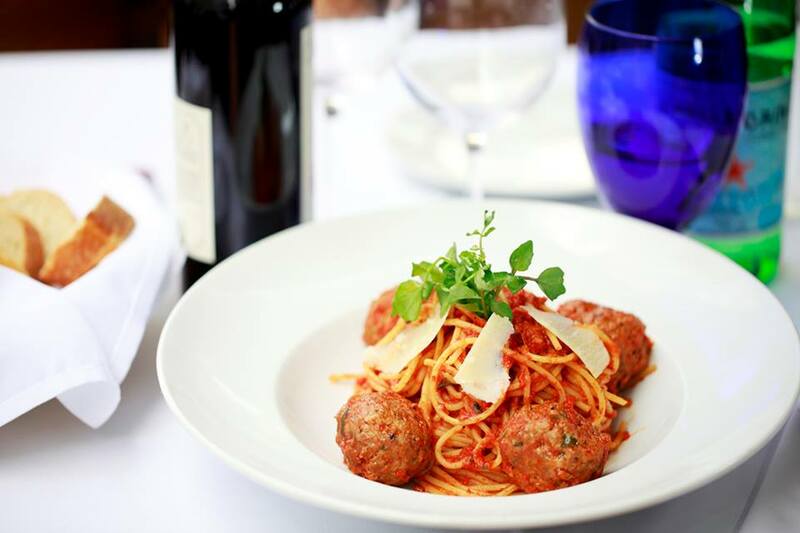 The food has their fans on edge with the carefully crafted Italian cuisine being served up (with a friendly service). 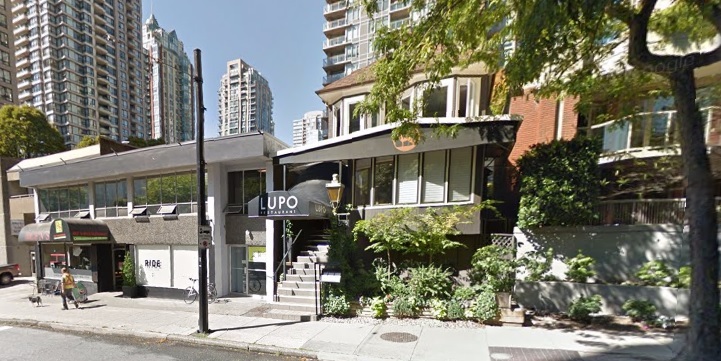 Reviewers are closing in 5 stars for Lupo as a Vancouver Italian restaurant. If you’re giving Lupo a visit make sure to go for their freshly made pasta. One of the best Italian restaurants in Vancouver that you absolutely have to savour downtown. 3) Ask for Luigi: Infamously the hole in the wall for Vancouver’s Italian cuisine, Ask for Luigi is a small dining area packed with tables that delivers on its name. The Italian food at Ask for Luigi is as familial as their name. (Closely set, cooking for friends and family with quality ingredients, decisively and thoughtfully put together). It seems as with most good Italian restaurants in Vancouver, Ask for Luigi does not accept advance reservations and is typically packed with a waitlist around. It’s located around Gastown towards East Hastings. 4) Al Porto Ristorante: Arguably one of the iconic, authentic Italian restaurant in Vancouver; this Italian ristorante is located right by waterfront station. The Italian restaurant which was established since 1978 provides indoor and outdoor seating with delicious, mouth-watering food. I’m a little bias, reminiscence of personal experience. This Vancouver Italian restaurant is almost an establishment with it’s existence since 1978 situated in an old brick building at 321 Walter Street (this is approximately 5 minutes walk from Waterfront) and right in front of the Gastown Clock. It’s very decorated in it’s interior as a true Vancouver Italian restaurant which seems to inspire an cozy, Italian family like experience. Prices at Al Porto are very reasonable for fine Italian food in Vancouver. The food and service is phenomenal; Al Porto also offers excellent wine pairing recommendations for their food upon request. Be warned, as with any good Italian food in Vancouver, the restaurant is always packed with hungry guests and their a refined palate for good Italian food. Delicious Italian food at Al Porto Ristorante in Vancouver BC. Gastown. 5) Don Francesco Ristorante: If you’re looking for good rustic Italian cuisine with family-like service then Don Francesco is the place to go. This fine dining experience features top quality ingredients with “treasured” Sicilian family recipes coupled with fresh seafood. Don Francesco was opened by Francesco Alongi in 2002 with his experience in Italian food dating to 1975 (where he opened his first Italian restaurant in Vancouver – which had since closed). Today, Don Francesco is is located right across from Sutton Place Hotel on Burrard street in a small corner unit. 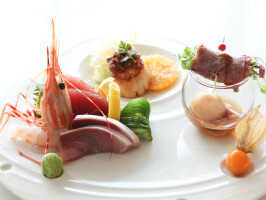 They are known as a fine-dining Italian cuisine for romantic dinners along with their impeccable service. Prices are on the higher end even for fine Italian dining in downtown Vancouver. Known for their delicious Ceasar salad, lobster linguine, and home-made deserts. Tastefully presented spaghetti and meatballs from Don Francesco’s Italian Restaurant Vancouver, BC. We haven’t quite made up our mind about the fifth recommendation of Italian restaurants to try in Vancouver so we’d like you to have the input. Some further considerations are Yaletown L’Antipasto, Cioppino’s Mediterranean Grill & Enoteca, Italian Kitchen, Trattoria. There are too many wonderful Italian restaurants in Vancouver to choose from. Yaletown L’Antipasto is well known for authentic Italian food. 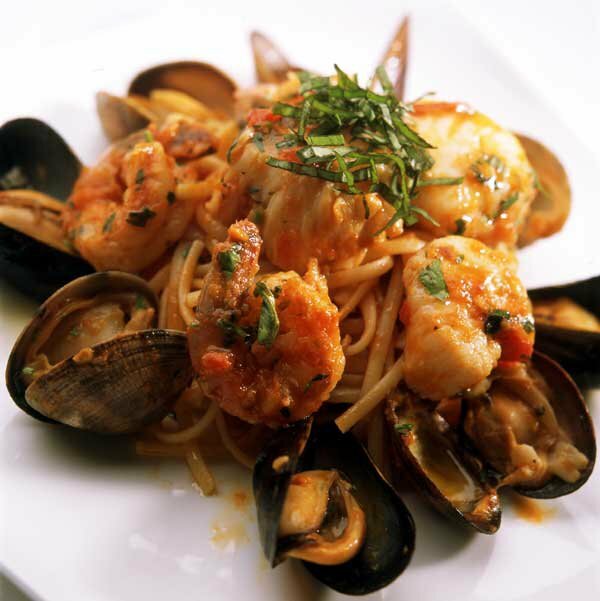 Cioppino’s Mediterranean Grill & Enoteca is also nestled in Yaletown, serving delicious Italian and Mediterranean food by Giuseppe “Pino” Posteraro; they truly make phenomenal food including their home-made pasta with a fresh taste to their dishes. 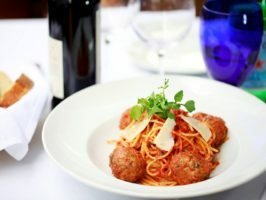 Italian Kitchen is part of the Glowbal group of restaurants and have been known for precisely cooked Italian food, professionally prepared for a delicious meal. Trattoria is another Vancouver favourite for Italian food once again by the Glowbal Group. All of these make excellent options for Italian restaurants in Vancouver. Thanks for reading our suggestions of the top 5 must-try Italian restaurants in Vancouver. If you have any suggestions or disagreements, please share in the comments bellow. 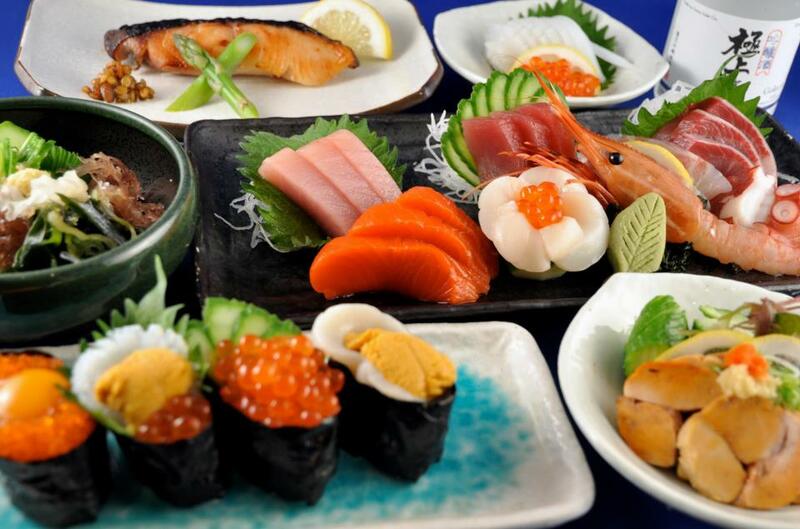 We do have quite a few incredible restaurants and eateries in Vancouver that provide a different dining experience than what you might usually find at other restaurants in Vancouver. Here are some interesting places you need to go if you want an adventure or surprise with your meal. Looking for an experience with your meal? Perhaps, you may appreciate trying some unique eateries in Vancouver to share with your out of town friends or a little excitement with your dining experience. Whatever your reasons, here are five interesting eateries in Vancouver that you should experience alone or with another.